​Reports suggesting Brazil Under-20 starlet Rodrygo Goes will be linking up with Real Madrid in January may be premature, with a summer 2019 move more likely. Los Blancos completed a deal for the attacking starlet in summer but allowed the player to remain with his current club Santos for another season. Rumours began to emerge that Real Madrid were looking to fast-track that deal, seeing the player arrive when the window opens up again in January. However, Rodrygo is set to represent Brazil at the South American Under-20 Championships in Chile between the 17 January and 10 February. The Brazilian will turn 18 just a week before the tournament kicks off, with Madrid unable to field the player sooner because of FIFA restrictions. Whilst participation in the tournament is not mandatory under FIFA legislations, Madrid would not want to remove Rodrygo from the squad. Los Blancos have already prevented Rodrygo’s countryman Vinicius Jr from joining up with Brazil Under-20s this winter and would not wish to upset the Brazilian FA further. The prospect of bringing Rodrygo in, only to immediately release him for international duty does not appeal to the club’s hierarchy either. According to AS, Real Madrid will instead bide their time and wait until next summer to complete the player's switch. 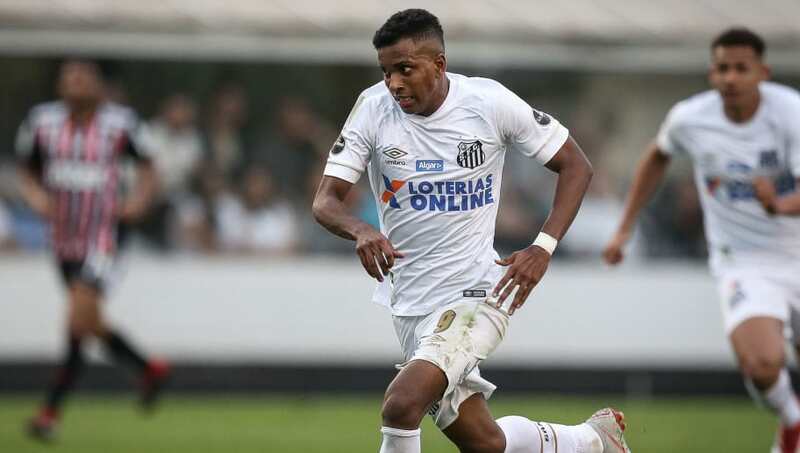 Rodrygo has seven goals in 37 appearances for Santos this year and is expected to join up with the Madrid first team squad in time for pre-season. Real Madrid in the meantime will look to get their current season back on track after a disastrous start to the season. The club have already parted ways with Julen Lopetegui who had the unfortunate honour of becoming the shortest managerial reign under Florentino Perez. It came following the clubs’ humiliating 5-1 defeat to bitter rivals Barcelona that left Madrid in 9th spot in La Liga. Los Galacticos had also struggled in the Champions League, falling to defeat against 10-man CSKA Moscow. Defeats to Sevilla, Alaves and Levante also made it just one win in seven for Lopetegui prior to his dismissal. Interim manager Santiago Solari has steadied the ship and will be hoping to continue his fine start against Celta Vigo this Sunday.